Sinem completed her undergraduate studies at Istanbul Kültür University. Since January 2018 has been pursuing a Master degree at Istanbul Technical University. She won a SIPGA fellowship, and did her attachment with the lab from April to October 2018. Awarded an A*STAR NSS (BS) Scholarship, Quyen completed her Bachelor in Biomedical Sciences at Imperial College London in early 2017. From Jul 2017 she is in the lab doing a one year A*STAR Graduate Academy Research Attachment. Jacinda is pursuing her undergraduate studies at Nanyang Technological University. She began her internship in January 2018. Alice graduated from Temasek Polytechnic with a Diploma in Biotechnology with Merit in 2014. She is currently in Year 4 of the Bachelor of Science degree programme, Life Science Major at the National University of Singapore. In the lab from September 2017, she is doing an internship with Xianyuan. Yong Yin is doing her Student Internship Programme for a Temasek Polytechnic Diploma in Biotechnology in the lab. She is working with Stan from September 2017 through January 2018. Gillian is doing her Student Internship Programme for a Temasek Polytechnic Diploma in Biotechnology in the lab. She is working with Xianyuan from September 2017 through January 2018. Gillian is doing her Student Internship Programme for a Temasek Polytechnic Diploma in Biotechnology in the lab. She is working with Farhan from September 2017 through January 2018. Katarina graduated with a degree in Biological Natural Sciences from the University of Cambridge, doing her major project on learning and memory with Johan Alsiö. In the lab Jun - Sep 2013 she worked on Drosophila defense behaviors. Katarina went on to do her MSc at Edinburgh University before returning to Duke-NUS as a PhD student. She pursued her doctoral studies in the lab from Jan 2016. Tragically, Katarina passed away Jan 2018. Anders did his undergraduate degree in molecular biology at Umeå University and his master’s degree at Uppsala University, where he studied neuroscience. He pursued his doctoral work on obesity genetics with Michael Williams and Helgi Schiöth at Uppsala University. Between Aug 2015 and Oct 2017, Anders worked on Drosophila reward behavior. Asghar has a MSc. in Physiology from the Graduate School of Health Sciences, Ege University in Turkey and a BSc. in Occupational Health from Urmia University of Medical Sciences in Iran. He was awarded a SIPGA fellowship to study learning and memory Mar through Aug 2017, working with Tayfun. Wai Kit is pursuing his Diploma of Electronics at Temasek Polytechnic. In the lab May-Sep 2017 he is working on a project with James. 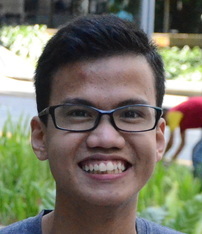 Amos is pursuing his Diploma of Electronics at Temasek Polytechnic. In the lab May-Sep 2017 he is working on a project with James. An Yee was awarded an A*STAR MBBS-PhD Scholarship to pursue an intercalated MBBS-PhD degree at University College London starting 2016. In Jul-Aug 2017 she is doing a summer internship in the lab. From 2014, Maryam is pursuing her Bachelor of Science (Honours) degree at the University of Toronto, Canada, doing a double major in Neuroscience & Cognitive Science. She is doing a summer internship May through July 2017, working with Xianyuan. 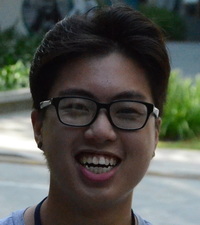 Roland is a year 2 Biological Science undergraduate from Nanyang Technological University. From May through July 2017, he is doing an attachment project on learning with Stan. Siti is pursuing her Bachelor degree in the School of Biological Sciences at Nanyang Technological University. In the lab Jan-May 2017 she is doing an internship as part of her degree. Zebrina is pursuing her Bachelor degree in the School of Biological Sciences at Nanyang Technological University. In the lab Jan-Apr 2017 she is doing her Final Year Project on learning and memory. Safwan is doing his Student Internship Programme for a Temasek Polytechnic Diploma in Biotechnology in the lab. He is working with Xianyuan and Tayfun on neuromodulation projects from September 2016 through January 2017. Si Yi is doing her Student Internship Programme for a Temasek Polytechnic Diploma in Biotechnology in the lab. She is working with Dr Anders Eriksson on a feeding project from September 2016 through January 2017. Shawn is doing his Student Internship Programme for a Temasek Polytechnic Diploma in Biotechnology in the lab. He is working with Dr Farhan Mohammad on a neuromodulation project from September 2016 through January 2017. Htet aka 'H3' is doing her Student Internship Programme for a Temasek Polytechnic Diploma in Biotechnology in the lab. She is working with Dr Stanislav Ott on a memory project from September 2016 through January 2017. Jia Yi graduated from Nanyang Technological University with a B. Sc. in Biological Sciences. 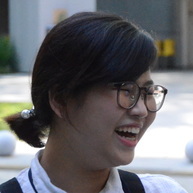 She previously worked with Joanne Yew at the Temasek Life Sciences Laboratory, working on pheromone and neuropeptide functions in Drosophila courtship. From November 2014, she is working on fly olfactory learning and memory in the lab. Rachel is an A*STAR National Science Scholar doing her undergraduate studies at Imperial College London. She did an 8 week attachment in the lab Jul-Aug 2016, working with Stan. From Sept 2015 through Jan 2016 Matthew did his Final Year Project for his Diploma at Temasek Polytechnic. He returned to the lab Feb-Aug 2016 to do an internship. Andrew was originally in the lab as a year 3 Biological Science major from the NTU School of Biological Sciences, and did research in the lab as part of the BS9001 Research Experience module from May 2015 until August 2015 under the mentorship of Stanislav Ott. Andrew returned to the lab Jan-Apr 2016 for his Final Year Project. Mai completed her Master's degree at Osaka University in 2015 and her Bachelor’s degree from Tokyo University of Science in 2013. Her Master's research was on Drosophila development and lifespan with Kenji Matsuno. Mai was in the lab from June 2015 until May 2016, working on a neuroanatomy project. From Sept 2015 through Jan 2016 Vanessa did her Final Year Project for her Diploma at Temasek Polytechnic. From Sept 2015 through Jan 2016 Shanice did her Final Year Project for her Diploma at Temasek Polytechnic. From Sept 2015 through Jan 2016 Donavan did his Final Year Project for his Diploma at Temasek Polytechnic. Zach is an A*STAR scholar who did a brief summer attachment before starting his undergraduate studies in pharmacology at NUS. Zach was mentored by James Stewart and Marlena Raczkowska. While in the lab Marilyn was completing her second year undergraduate studies in Biological Sciences from Nanyang Technology University. She previously worked as a Registered Nurse at Tan Tock Seng Hospital, specializing in cardiovascular patients. Marilyn was the lab as part of the BS9001 Research Experience module May-Aug 2015, mentored by Farhan Mohammad. Dennis was in the lab as a year 2 student currently studying in Biological Sciences in Nanyang Technological University. He was doing an independent summer internship in the lab from June 2015. Dennis is being mentored by Farhan Mohammad. Bhumika was in the lab while she was a year 1 undergraduate student studying chemical and biomolecular engineering at NUS. She did a summer attachment June-July 2015, mentored by Farhan Mohammad and Joses Ho on several projects including a meta-analysis. Han Yin did his undergraduate at the National University of Singapore, graduating with a bachelor degree in Life Sciences. From October 2014 until August 2015, he undertook a lab attachment with the National Science Scholarship (PhD) program at A*STAR, doing his research project in the lab on fly defense behavior. Han was mentored by Shamprasad Varija Raghu. At time of writing late 2015, Han is pursuing his doctoral studies at University College London. Marlena completed her Bachelor of Biotechnology at the University of Gdansk before doing a Master in Biomedical Research (Neuroscience) degree at Pompeu Fabra University, working on an animal model of pain in the laboratory of Margarita Puig. In the lab from June 2013 until September 2015 worked on learning and memory in Drosophila. From Sept 2014 through Jan 2015 Ayuni did her Final Year Project for her Diploma at Temasek Polytechnic. From April through June 2015 Ayuni joined us for an internship working on a fly model of anxiety. Ayuni was mentored by Farhan Mohammad. From August 2015 she was pursuing her undergraduate studies at NUS Department of Biological Sciences. From Sept 2014 through Jan 2015 Mavis did her Final Year Project for her Diploma at Temasek Polytechnic. From April through June 2015 Mavis joined us for an internship. Mavis was mentored by Shamprasad Varija Raghu. Her research won an award at the 2015 Singapore Science Centre event for graduating students. From August 2015 she started her undergraduate studies at NUS Department of Biological Sciences. From Sept 2014 until June 2015, Wang Zhe did his Final Year Project for his degree in Computer Science and Electrical Engineering at the National University of Singapore. Wang Zhe was mentored by Mashiur Rahman in collaboration with Professor Yen Shih-Cheng at NUS. Imani did an internship in the lab June through July 2014. She is pursuing her high school diploma at the Singapore American School. Imani was mentored by Marlena Raczkowska. From Sept 2014 through Jan 2015 Heena is doing her Final Year Project for her Diploma at Temasek Polytechnic. Heena was mentored by Farhan Mohammad. From Sept 2014 through Jan 2015 Daniel is doing his Final Year Project for his Diploma at Temasek Polytechnic. Daniel was mentored by Farhan Mohammad. From Sept 2014 through Jan 2015 Yi Ling is doing her Final Year Project for her Diploma at Temasek Polytechnic. Yi Ling was mentored by Marlena Raczkowska. From Sept 2014 through Jan 2015 Jun Long is doing his Final Year Project for his Diploma at Temasek Polytechnic. Jun Long was mentored by Shamprasad Varija Raghu. Mashiur did his undergraduate and masters at Toyohashi University of Technology. He pursued his doctoral work on planar patch clamp based biosensor with Professor Tsuneo Urisu at the The Graduate University for Advanced Studies, Japan and postdoctoral work with Professor Michael Norton at Marshall University. In the lab from August 2011 to December 2014 he developed instrumentation systems and fly behavioral assays. Kim did his undergraduate degree in Psychology at the University of Queensland and his master’s degree in Neuroscience at the Queensland Brain Institute. In the lab from October through December 2014, he worked on the neuroscience of avoidance. Kim was mentored by Farhan Mohammad. Pom did a Bachelor of Engineering at Kasetsart University and a Master of Science in electrical engineering at the University of Southern California. He did his doctoral work in auditory neuroscience in the lab of Hebert Voigt and postdoctoral work on contextual learning in the lab of Howard Eichenbaum, both at Boston University. In the lab Oct 2012 - Sep 2014 he worked on associative learning. 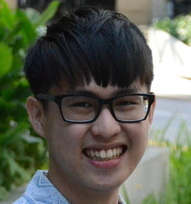 Zeng Hang is pursuing his Diploma in Electronics at Temasek Polytechnic Engineering School, doing his Final year Project in the lab on a system of long-term fly monitoring Apr-Aug 2014. 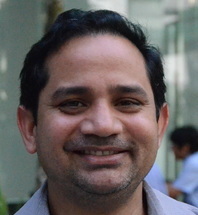 Hang was mentored by Mashiur Rahman. 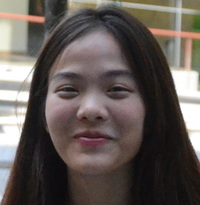 Lisa pursued her Diploma in Electronics at Temasek Polytechnic Engineering School, doing her Final year Project in the lab on a system of long-term fly monitoring Apr-Aug 2014. Kong Yun was mentored by Mashiur Rahman. Dominique is pursuing his Diploma in Computer Engineering at Temasek Polytechnic Engineering School, he did his Final Year Project in the lab on a system of long-term fly monitoring Apr-Aug 2014. Dominique was mentored by Mashiur Rahman. July through August 2014 Taarini did a summer internship in the lab while pursuing her bachelor degree at the University of California, San Diego, majoring in Psychology and minoring in Cognitive Science. Taarini was mentored by Farhan Mohammad. Jana did her B.Sc. in Molecular Medicine and is continuing with her M.Sc. at Friedrich-Alexander University Erlangen-Nuremberg. In the lab she did a research project on associative olfactory learning, Mar-Aug 2014. Jana was mentored by Jan Weislogel. Joanne did her Temasek Polytechnic Final Year Project research in the lab Sep 2013 - Jan 2014. She worked with Sham on a brain expression project, and continued with a short internship in Mar-Apr 2014. Joanne was mentored by Sham Varija Raghu. Si En did her Temasek Polytechnic Final Year Project research in the lab Sep 2013 - Jan 2014. She worked with Pom on methods to study reward-seeking behavior, and continued with a short internship Mar-Apr 2014. Si En is currently doing her bachelor degree at Nanyang Technological University. Si En was mentored by Marlena Raczkowska. Alex did his Temasek Polytechnic Final Year Project research in the lab Oct 2013 - Mar 2014. He worked with Mashiur on implementing an electronic fly detection system. He followed his FYP project with a 6 week internship in the lab. Alex was mentored by Mashiur Rahman. Jun Wee did his Temasek Polytechnic Final Year Project research in the lab Oct 2013 - Mar 2014. He worked with Mashiur on implementing an electronic fly detection system. Felicia did her Temasek Polytechnic Final Year Project research in the lab Sep 2013 - Jan 2014. She worked with Mashiur and Farhan on associative action learning. Madeline did her Temasek Polytechnic Final Year Project research in the lab Sep 2013 - Jan 2014. She worked on fly defense behaviors with Farhan. Anjana graduated with a Bachelor of Biotechnology from Anna University and completed her Master in Neuroscience at Newcastle University, writing her thesis on auditory discrimination in the laboratories of Adrian Rees and Quoc Vuong. In the lab Jun-Oct 2013 she worked on a fly defense behavior. As of June 2015 she is working as a cognitive scientist at Nielsen, Inc.
Jan did his undergraduate studies in biology at the University of Kassel and the University of Heidelberg. 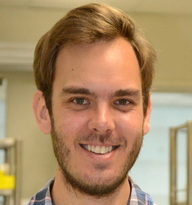 He pursued his graduate work with Hilmar Bading, also at the University of Heidelberg, on the role of nuclear calcium signalling in neural function. In the lab he worked on olfactory learning. AS of June 2015 he is at Humbolt University in Berlin. Tugce did her undergraduate studies in Koc University, majoring in chemical & biological engineering. She completed her master's degree in computational sciences & engineering in the same university working on protein-peptide interactions. In the lab she worked on olfactory learning with Jan from Oct 2012 through June 2013. At time of writing, Aug 2014, she is a doctoral student at the International Max Planck Research School for Molecular and Cellular Life Sciences in Munich. Peng Guan was a student in the Department of Statistics and Applied Probability at NUS; in the lab Sep 2012-Apr 2013 he did his Final Year Project on statistical analysis of animal behavioural data with Farhan Mohammad. At time of writing, Sep 2013, he is working as a biostatistician for the Singapore Eye Research Institute (SERI). Sadhna did her Bachelor of Technology in Biotechnology at the Sardar Vallabhai Patel University of Agriculture and Technology, Meerut. After that she completed her Masters in Neurosciences from Jiwaji University, Gwalior, India. In the lab Oct 2012-Jun 2013 she worked on the neurogenetics of a fly defense behavior with Sham. At time of writing, Mar 2014, she is pursuing doctoral studies in the laboratory of Robert Nitsch at the University of Mainz. Sameer did his undergraduate studies at Williams College, majoring in Economics and Biology, completing his Honors thesis in the laboratory of Tim Lebestky. In the lab Sep 2012-May 2013 he worked on a model of associative learning with Mashiur, and a model of anxiety with Farhan. At time of writing, Jul 2014, he is a doctoral student at NYU Neuroscience. Sabina TAN Yushan was a final year student at Temasek Polytechnic studying for her Diploma in Biotechnology. In the lab Sep-Jan 2012-13 she worked on the behavioural neurogenetics of fly defense behaviors with Sham. At time of writing, late 2016, she has recently graduated with a degree in Biological Sciences from Nanyang Technological University. QX got his Bachelor of Engineering (Computer Engineering) at the National University of Singapore and did his Final Year project in the lab. In the lab he developed software and hardware tools for fly behavior analysis, working with Mashiur. As of July 2013 he was surfing in the Maldives. 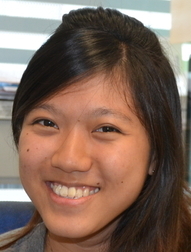 Cai Na is an A*STAR scholar who did her undergraduate at Cambridge University. She did a brief rotation in the lab in August 2011 before pursuing her doctoral studies in the Oxford-A-STAR DPhil program in the lab of Jonathan Flint. As of late 2016 Cai Na is at the Sanger Centre. Christy TAN Teng Li was a final year student at Temasek Polytechnic studying for her Diploma in Biotechnology. In the lab Sep-Jan 2012-13 she worked on the behavioural neurogenetics of fly defense behaviors. As of June 2014 she was pursuing her degree at the University of Western England. In the lab Sep-Jan 2012-13 Noele worked on the behavioural neurogenetics of fly defense behaviors, while she was a final year student at Temasek Polytechnic studying for her Diploma in Biotechnology. At time of writing early 2014 she is doing her undergraduate studies at the University of Leicester in the United Kingdom. Ming pursued her undergraduate studies in biological sciences at Nanyang Technological University. For her Final Year Project Jan-May 2013 she worked on a fly defense behavior. At time of writing July 2014, she is working as a Research Assistant at the Singapore Institute for Clinical Sciences. Sherilyn LIM Hui Ying did her final year project in the lab Sep-Jan 2012-13 on the behavioural neurogenetics of fly defense behaviors as a Temasek Polytechnic student working on her Diploma in Biotechnology. After the lab, she worked as a Research Assistant in the lab of Richie Soong at the Cancer Science Institute of Singapore. As of October 2016 she was studying Biological Sciences at Nanyang Technological University. Edison Lau was attached to the lab for his Final Year Project on fly olfactory behavior in Jun-Aug 2012 as part of his studies in the Biomedical Sciences and Chinese Medicine programme at the Nanyang Technological University. At time of writing in Dec 2012 he is doing his clinical training at the Beijing University of Chinese Medicine. Jing Xuan did an attachment in the lab in the first quarter of 2012. As an A*STAR National Science Scholar, Jing Xuan went on to study neuroscience for his undergraduate degree at University College London. Agnese won a Singapore International Pre-Graduate Award June-Aug 2011 to search for genes that specifically influence a Drosophila defense behavior. She completed her undergraduate studies in genetics at Trinity College Dublin and at time of writing (Jan 2014) she is a medical student at the Royal College of Surgeons in Ireland. Claudia did her undergraduate studies at Lisbon University, pursued her doctoral work with Andrea Brand at Cambridge University and postdoctoral work on neurodevelopment with Ulrich Müller at The Scripps Research Institute. In the lab Oct 2009 - Oct 2010 she pursued a project on brain expression control. Claudia is currently a Lecturer at Plymouth University. Witold did his undergraduate studies in biotechnology at Cardiff University. His rotation project Spring 2010 focused on an improved method of expression control in the fly brain. As of Jan 2014 he is pursuing his doctoral work at Oxford. Helen studied philosophy and painting in Edinburgh. In the lab third quarter 2010 she studied aversive behaviors in fly. She went on to study Biomedical Science at Warwick University and as of early 2014 is working as a scientist in Strasbourg. Evan did his undergraduate studies in engineering at Duke University. He worked for an investment bank before pursuing two Masters at the University of Oxford and the University of Paris-Diderot. His rotation project Spring 2010 was to develop a new method of assaying associative action learning. Iain did his undergraduate and Masters studies in mathematics and statistics at the University of Cambridge. He worked for an investment bank before starting his doctoral work at Oxford. His rotation project Spring 2010 looked at new ways of controlling expression in brain. Simon did his undergraduate studies in virology at the University of Warwick, where he also pursued his doctoral work in with Kevin Moffat. He did postdoctoral work on Fragile X syndrome with Bassem Hassan at the KU Leuven School of Medicine; his work in the lab 2008-09 was on associative learning. At time of writing Sep 2012 he is at the University of Cambridge. In 2009, Nick was a medical student at the University of Oxford; his summer internship was on the mechanisms of associative action learning. He is currently a practicing physician. In 2009, Will was a medical student at the University of Oxford; his summer internship was on the mechanisms of associative action learning. He is currently a practicing physician.